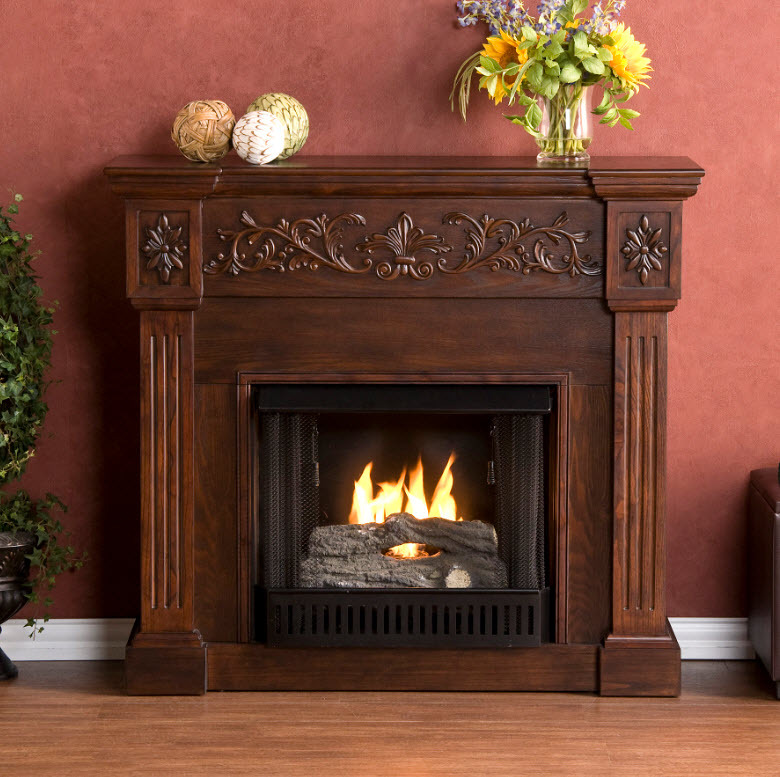 Purchasing a fireplace to beautify your home can be a challenging experience. With the multitude of styles, models, brands and prices it is easy for anyone to be indecisive in the selection process. There are two types of portable fireplaces and what differentiates the two is the fuel type. Electric fireplaces are powered by electricity and all feature a standard three prong electrical plug that will plug into any house hold outlet. Electric fireplaces feature quartz bulbs that are heated via electricity and then ventilated into the surrounding area via the internal fan in the firebox. Gel fuel fireplaces emit heat and warmth by live flames that burn via gel fuel. All of our eco-friendly gel fuel burns odorless and clean, making it very convenient to enjoy the ambiance of a live flame without the cleaning and maintenance that comes with a traditional fireplace! Electric fireplaces can provide over 4,000 BTU's of heat and only consumes as much electricity as your simple household coffee maker. Selective heating otherwise known as "zone heating" via electric fireplaces can significantly lower your electricity bill every month as using your household heater is much more expensive and much less effective. If you are looking to provide heat and warmth to only one room, electric fireplaces are the perfect solution. Instead of turning up your household heater to deliver warmth to the room of choice, an electric fireplace which operates at a rate of 11 cents per hour can provide the specific zone heating that you need to save money. They are beautiful, stylish and all come complete with the firebox, mantel, and electric fireplace insert which features state of the art led flames that flicker and dance just like real fire. Gel fireplaces can provide over 8,000 BTU's of heat and each can of fuel can burn up to 3 hours and be conveniently reused until empty. A gel fireplace functions similarly as an electric fireplace in that it provides zone heating to specifically heat the area and or room of your choice. Gel fireplaces feature live flames and offer a true traditional fireplace ambiance as the dancing live flames provide both warmth and relaxation after a long day of work. Gel fuel burns odorless and is eco-friendly, the great thing about gel fuel versus burning wood is that it does not leave behind ashes or any messy residue that requires maintenance or clean up. Once the fuel is gone you simply replace it with either pour gel fuel, or cans of gel fuel. Different types of gel fuel for different fireplaces may be named as viofuel, biofuel, and or pour gel fuel. This option is only available for traditional gel fuel fireplaces that have a fireplace mantel and gel fuel fireplace insert as shown in the picture below. You can simply extract the gel fuel insert and replace with an Electric fireplace insert. The electric fireplace insert will feature its own three prong electrical plug that can plug into any household electrical outlet. This offers flexibility for owners that wish to own both a gel fuel fireplace and electric fireplace without having to purchase two separate units!